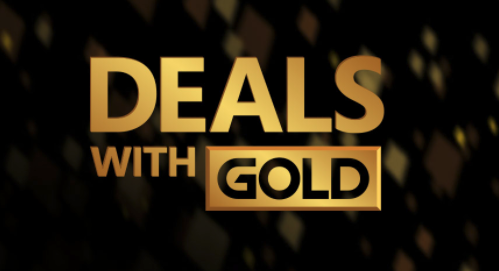 It’s a new week, and that means a fresh set of deals are now available on Xbox Live. These were announced on Major Nelson’s blog, and you can see the full rundown of offers there. Many of the Xbox One deals are for add-on content, with things like Call of Duty Points marked down for games like Black Ops III, Infinite Warfare, Modern Warfare Remastered, and WWII. Additionally, the Assassin’s Creed: Origins Season Pass is 30 percent off, bringing its price down to $ 28 instead of $ 40. The Witcher 3‘s season pass is down to $ 12.50, Resident Evil 7‘s season pass can be had for $ 18, while Halo Wars 2‘s DLC pass is available for just $ 15. Additionally, Fallout 4‘s season pass is discounted to $ 30, Destiny 2‘s expansion pass is marked down to $ 30 as well, and Battlefield 1‘s premium pass is available for $ 12.50. Shifting to Xbox 360, lots of expansion content is also marked down for games like Watch Dogs, World of Tanks, State of Decay, Rise of the Tomb Raider, Far Cry 4, and WWE 2K17. Go to Major Nelson’s blog to see a full and complete rundown of this week’s Xbox One and Xbox 360 deals, some of which require an Xbox Live Gold membership. The deals are available through April 16. In other news, Xbox Live Gold members can now pick up the first of April’s free Games With Gold titles, which include The Witness (Xbox One) and the backwards compatible Cars 2 (Xbox 360). Tagged Addons, Discounts, Game, Includes, Many, Sale, Xbox.